Save 20% off all Beltone hearing instruments, complimentary hearing screening, 1 year manufacturer’s warranty and more. 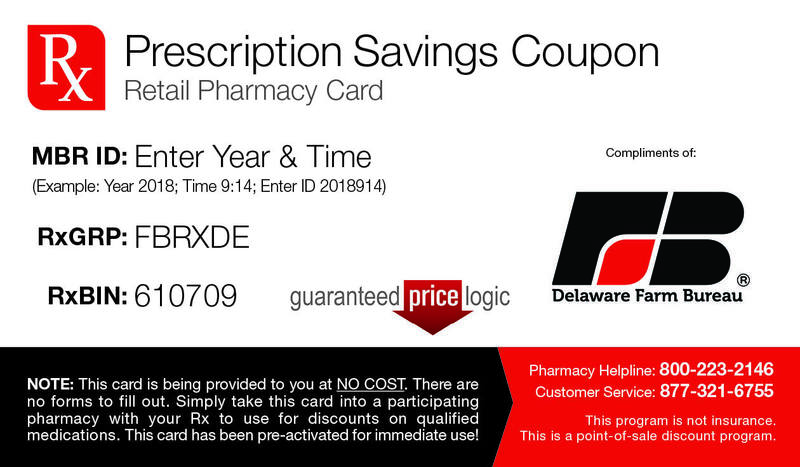 Save up to 75% at more than 68,000 national and regional pharmacies. *This card cannot be combined with health insurance benefits. Get exclusive savings on eye exams, eyeglasses, contact lenses, non-prescription sunglasses and more! Just show your Delaware Farm Bureau membership card at your local MyEyeDr office to receive your benefits. Call (866) 693-9336 or visit myeyedr.com/locations to find an office near you!